EA plans to transform virtual Springfield into a winter wonderland. Let it snow! Springfield's in for some holiday magic with a big new update... coming soon! Unfortunately, that's all we have to go on. No word if this will tie into an upcoming holiday-themed episode. We'd like to think, of course, that the always reliable Mr. 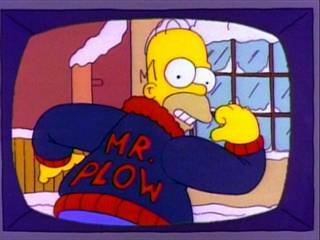 Plow makes a very welcome appearance.